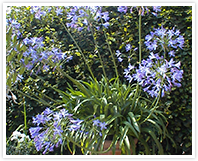 The Romantic Garden Nursery is situated in the heart of Norfolk in the village of Swannington. We are a specialist nursery holding a large range of topiary, mature shrubs & trees, for adding instant impact to your garden and can arrange delivery if required. The web site gives you a general view of what we offer but as the stock is constantly changing it’s always best to ask, as current sizes, prices and availability may differ. We deal with many growers so it’s worth asking us if you can’t see what you’re looking for. We also hire plants for special occasions. See the section on plant hire for more details. 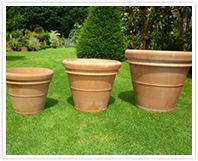 A traditional classic design from 40cm to 100cm diameter. 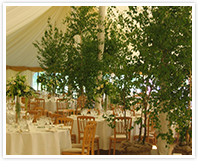 Why not enhance your special event by adding some trees or topiary. We can source almost any type, size, and variety of plant.